Almond is packed with health benefits. It provides healthy fats, protein, fiber, magnesium and vitamin E to the body. Almonds boost brain health, regulate cholesterol level, improve bone health, prevent heart diseases, strengthen immune system, reduce inflammation, boost energy production, and glow the skin. Make dessert, shake or use almonds in salad. 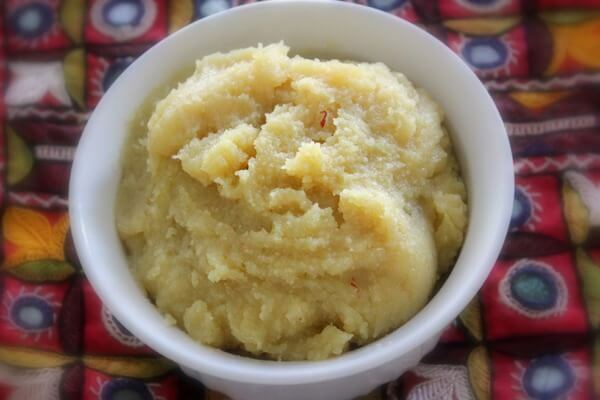 In winter season make Badam ka Halwa Recipe, a healthy Pakistani Food Recipe that is great for the whole family. Blend the soaked/blanched almonds with 2 cups water to a smooth paste. Put the almond paste in a pan and cook till the mixture thickens and dries. Now add sugar and stir fry. After a minute add water/milk and stir continuously. Add ghee and cook it while stirring until mixture thick again. Then add saffron and green cardamon; serve warm. Second option: Take out halwa in a greased plate and cool it. Then cut into diamond slices and serve.